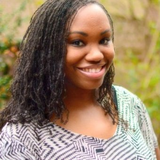 Brittany Harris is a published social justice educator and advocate, committed to supporting equity education that produces cultural shifts. Brittany Harris updated their profile information. Brittany Harris changed their profile image.